A sound that throws open the gates to another musical dimension – the Viennese duo LE_MOL presents itself on the new album “Heads Heads Heads Heads” (Panta R&E) as a band that redefines the concept of post-rock in a special and touching way. There are quite a few people who think that Postrock has already said it all. You can also reach this conclusion, if you look at the many, many releases that have emerged in this musical corner over the past few years. Eventually everything sounded the same. Or at least very similar. 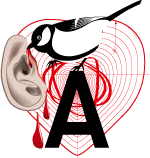 But there are always some surprises that show that it doesn’t have to be like this and that something innovative and exciting can still happen in the world of post-rock. 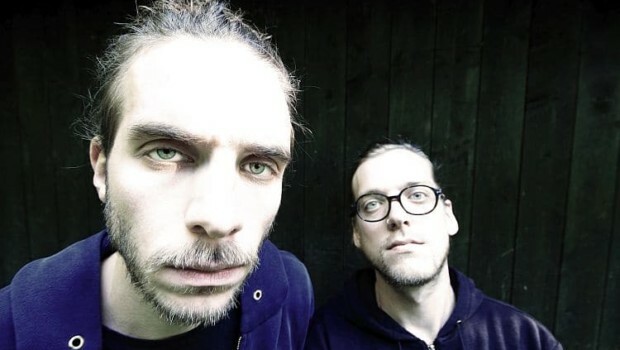 The Viennese instrumental two-man team le_mol already showed on its first two releases “Aleph One” (2013) and “Kara Oh Kee” (2015) that it is willing take a slightly different path. Their latest release captivatingly proves that instrumental rock can still flourish today. “Heads Heads Heads” is an album that grows and deepens from number to number. It begins quietly, with soft piano sounds which unite over time with continuously condensing multi-track guitar riffs and an ever more powerful drum-line into a musical arc full of tension which ends in an eruptive climax. This process repeats itself over the whole album, with continuous variations in arrangement and intensity. Raimund Schlager and Sebastian Götzendorfer – the two heads behind le_mol – break with the conventionalities of song structure and form, relying instead on excessive use of loop technique to create their own dramaturgy. The two experimental Viennese tell their stories in a variety of ways. They let the events oscillate between dreamy and gentle moments; between long, playfully stretched passages and powerful eruptions, and in the end create an unbelievably atmospheric and powerful whole. 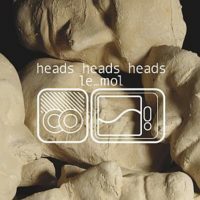 le_mol‘s “Heads Heads Heads” celebrate a sound that doesn’t leave you untouched, that caresses you just as gently as it stirs you up. The sound that Raimund Schlager and Sebastian Götzendorfer bring to life is one that magically captivates, deeply immerses, and stimulates the imagination. ARTIST APPLICATIONS: COME PLAY AT MAMA FESTIVAL 2018!